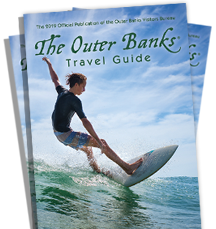 Historical flights on the Outer Banks go beyond just the Wright Brothers. 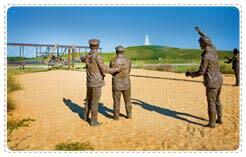 Orville and Wilbur found steady winds and wide beaches near Kitty Hawk for their first controlled, powered flight in 1903. But the town of Frisco on Hatteras Island also soars with American flight history. In 1923, General Billy Mitchell launched a series of bomber demos from a tiny Frisco airstrip against battleship targets off the Outer Banks. The exhibition proved the need for air power and inspired the creation of the U.S. Air Force.